When deciding on the backend environment of a site that will serve as the place where you’ll make all changes to content and functionality, there aren’t any wrong or right answers. While there are some specialty cases, like e-commerce, where you’ll probably want to help yourself by choosing an e-commerce specific CMS at least as a base, you can use any solution you’d like. 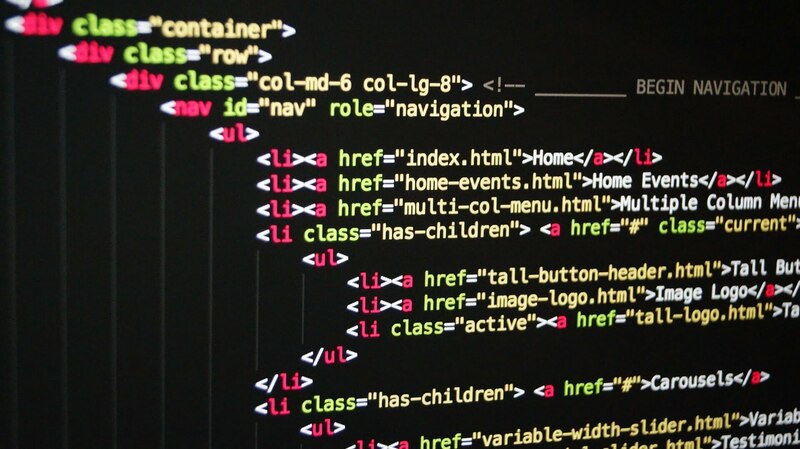 While coding a site from scratch is a perfectly suitable solution, many people opt for a CMS for a variety of reasons. For those who aren’t web developers by trade, or business owners who just prefer simplicity when it comes to making site changes, the use of a CMS is a popular choice. Though content management systems vary, the benefit of using them is that they are relatively easier to use due to being broken down into logical “fill in your content here” sections rather than intimidating users with a wall of code that they have to accurately edit. The most popular CMS in the world, by far, is WordPress. Current estimates have WordPress powering more than a quarter of all websites on the internet. It’s easy to see why so many think of WordPress as synonymous with CMSes, like Xerox and copy machines. WordPress is fairly straightforward, it can be modified to do nearly anything, and the cottage industry of plugins and themes that has developed around it means the combinations are nearly limitless. But, while using WordPress is simple to a degree, it is not a simple software. If you’re just starting out with a website, there’s a good chance you’ve opted for the combination of WordPress on a shared hosting plan. Worry free reseller hosting in the cloud from KnownHost. While this set up will probably work for you in the very early days of your venture, don’t be surprised if you quickly outgrow it, especially if this website is for your business. There are two things to keep in mind here: increases in traffic and the demands of WordPress as a software. Sooner or later, you’ll see that you’re going to need to migrate to a managed VPS in order to get the performance a professional site needs. Migrations aren’t fun, so it’s best to set things up initially with an eye on your future needs. That’s why you should skip the shared hosting and go straight for a managed VPS when launching a site on WordPress. Here are some characteristics of WordPress to keep in mind and why you may need more powerful hosting than you realize. Many of the factors that can make a WordPress site feel like it’s running slow or performance isn’t what you’d expect comes down to the software itself, not necessarily your hosting. What this means is, upgrading to a managed VPS isn’t necessarily a magic bullet. Rather, it gives you more room to work with to offset some of the characteristics of WordPress that can make it sluggish. The only thing your server is primarily responsible for in this equation is handling traffic loads. Between the information presented in cPanel and Google Analytics (which you really should set up on your site) you’ll be able to extrapolate if you’re seeing notable increases in bandwidth usage and traffic. If these metrics are higher than they have been historically and you’re noticing that your page load time is exceeding three seconds, you probably need a more capable server. Google themselves have said two second load times should be the target. If external factors are affecting site performance, a VPS should be something you look into. Now we’re going to get into how WordPress in particular can be a bit sluggish. Since we are speaking in terms of literal seconds, sluggish is a relative term. But the difference between three seconds and six seconds when it comes to user behavior is significant. Pinpointing ways to shave down fractions of seconds is something you’re going to want to do if you’re looking to make money with your website. When it comes to issues of WordPress itself, your host can only act as a buffer. With a more powerful hosting solution like a VPS, the added CPU and RAM provides more leeway when it comes to more bloated themes or plugin usage. The hardware in a shared hosting plan will begin to suffer under the load of a heavy site sooner. But, ultimately, it’s about striking a balance between necessary functionality, good design choices, and having a reliable host. Here are some of the aspects of your WordPress build where things can bottleneck. KnownHost offer multiple options for hosting your CMS. The theme you choose doesn’t just contain the design of your site. Themes that have a bunch of bells and whistles have functionality hard coded into them. That means more elaborate PHP. This makes for heavier code that can bog down your site. When possible, go for the most lightweight theme possible. Chances are you won’t use all of the features coded into the theme. It’s better to add functionality yourself via plugins you select yourself. This leads to the next point about plugins. One of WordPress’ biggest selling points is the ability to easily add functionality with plugins. The downside to this convenience is you can get a little plugin happy and find yourself with many installed in your WordPress build. While plugins are necessary to get the site you want, it’s important to know that each plugin can add a fraction of a second to your page load time because the browser has to process them. It’s also important to note that not all plugins are equal. Some can be significantly heavier than others with similar functionality. That’s why you should test and evaluate to see which to keep and which to get rid of. Rarely, if ever, should you be keeping images on your site that measure in megabytes. Large images can be a culprit behind slow load times. These images add up, so a long post history with large images can absolutely cause performance issues. Get around this by installing a plugin that automatically optimizes images as you load them into the CMS. This takes the responsibility of going through and editing every image off of you for convenience. You can help your site load quicker with a caching solution. W3 Total Cache is a popular plugin for this . It makes a variety of behind the scenes changes without actually altering your theme or plugins. It was designed to work in any hosting environment, including your VPS. Check out its long list of features. It makes many small changes to how certain content is cached in order to improve the user experience. Your website depends on reliable hosting to get the results your business needs to thrive. Don’t accept slow performance and erratic uptime. A managed VPS is a great investment for businesses of all sizes. The combination of a managed VPS and WordPress could be the ideal environment for yours. If you’ve grown frustrated with your current hosting plan or you want to start fresh, contact the team at KnownHost today. We’ll help you choose the hosting solution that makes the most sense for your business.